Are You Exhausted or Frustrated with your Relationship? Have you and your partner fallen into communication patterns that are shaped by silence, outbursts, resentment or nagging? Has the ease and pleasure in your relationship been replaced by irritation, loneliness or anger? Perhaps unresolved fights or feelings of guilt have built into a seemingly impenetrable wall, and you don’t even feel comfortable talking to your spouse. Or, maybe you fear that anything you bring up will escalate into an argument, leaving you both feeling unheard and unloved. Do you wish you could reconnect with the person you fell in love with and trust in your ability to work through these challenges as a team? Consistent conflict in a long-term relationship or marriage can be a lonely, confusing and frustrating experience. Relationship stress can impact every aspect of your life and leave you feeling hopeless, irritable and unable to focus on anything but the pain of disconnection. If you feel like you never do anything right and you and your partner have fallen into a routine of chronic criticism or minimal interactions, you may be close to giving up, questioning if fixing your relationship is even feasible. However, if you desperately want to reconnect with your partner and the love that once drew your together, couples counseling can nurture your underlying desire to feel heard. It’s completely normal for couples to occasionally disagree, face challenges and become irritated with one another. It’s becoming increasingly common, with our busy lives, financial stress and the isolation of social media, for couples to drift apart. Most negative emotions are not abnormal nor are they permanent, but you are feeling this way for a reason, and it’s okay to reach out for help. Couples therapy can help you and your partner to improve your communication techniques so that you can both move forward and rediscover harmony. 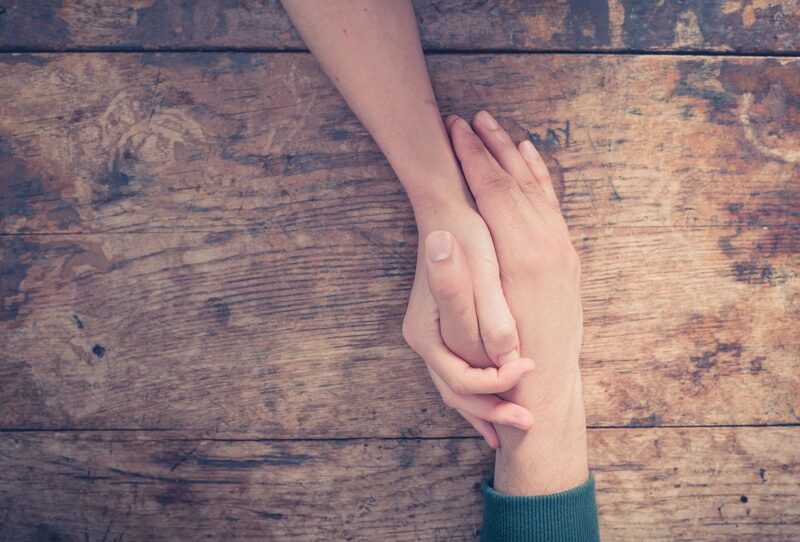 Although reconnecting with your partner may seem impossible right now, hope and help are available. Relationship counseling can teach you valuable skills that you can use not only with your spouse or partner but with your friends and family, too. You can develop the tools and techniques needed to listen to your emotions, express yourself honestly and create greater harmony in your relationship. In sessions, we will explore how you and your partner resolve conflicts, fight, avoid and talk to each other. If there are warning signs that lead up to an argument, you can learn to recognize them, then de-escalate and even prevent harmful outbursts. We will also redefine and respect a new set of boundaries that feel comfortable and reasonable for you both. If one person is taking on most of the responsibilities in the relationship, for example, we will practice more effective ways of communicating that stress so that you can divide responsibilities more evenly. By working together in a safe, supportive environment, you’ll start to notice that your partner isn’t acting avoidant or malicious for no reason—there are motivations for every behavior, and you’ll learn the language you’ll need to describe those feelings, as well as the insight to better understand your partner’s experience. Once you’re able to develop empathy for one another, we’ll work on ways in which you two can compromise in new, healthier and more authentic ways. During couples counseling, you will also learn how your emotions, beliefs, and attitudes can positively or negatively influence your biological functioning. Stress and depression can affect your entire body, and often times, those around us can see that we’re in distress before we even realize it, which then causes them to feel distressed, wondering what’s wrong. By listening to your body for warning signs of irritation and anger, you can learn to refocus your attention, take a deep breath and calm yourself. Such grounding not only brings clarity to the moment but also actually promotes long-term health and wellness. I am a licensed marriage and family counselor and have been working with couples for four years. I’m trained in the Gottman Method, which is a research-based couples modality that offers exercises and steps you can take to begin improving your relationship today. As we work together, I will tailor my approach to best address and support you and your partner’s physical symptoms, history, personalities, needs, concerns and therapy goals. With a little help and guidance, you and your partner can bring love and curiosity back into your relationship. Although you want to work through issues with your partner, you may still have some questions and concerns about couples therapy. It’s common to have an impression of what your partner may think about therapy. However, there is a good chance your partner is also feeling uneasy about your relationship, and if given the opportunity, may be willing to open up in a therapeutic, compassionate and controlled environment. You won’t know whether your partner will join you in counseling until you ask and gauge his or her level of commitment. If he or she truly doesn’t want to come in and work on your relationship, individual counseling is also an option. If you’re feeling like something in life has gone awry, it probably has, and help and hope are available. In counseling, you can make positive changes in your relationship and personal well-being regardless of whether or not your partner wants to join you. I’ve heard that couples counseling can be expensive. My prices are competitive with other practices in the area, and I offer discounts to active members of the military, veterans and dependents of active duty members of the military. There is a cost involved in this work, but consider the alternatives. Over time, unresolved issues can become even more complicated and feelings of anxiety, sadness and yearning can worsen. If you’re not willing to put in the resources now to repair your relationship, you may continue to be unhappy or you and your partner may choose to separate or divorce. The most important question to ask yourself here is: are you getting what you want? Don’t let money stand in the way of you and your partner rediscovering joy. Giving therapy a chance not only could save you emotional and monetary costs down the road, but also provide the opportunity to be vulnerable and ask for what you need. Why do I need therapy? Shouldn’t I be able to do this on my own? If you know you want to start marriage or couples therapy, please call (210) 310-8384 to find out if my approach is right for you. I have day, evening and weekend hours available in the Stone Oak area of San Antonio.